FCC Construction managed the expansion at this J.D. 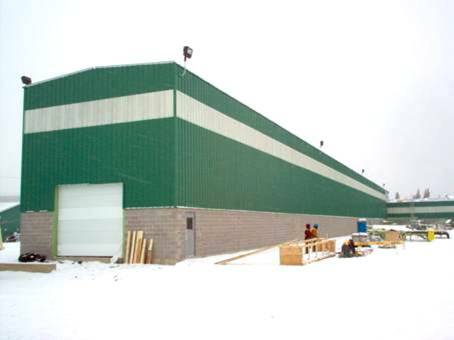 Irving sawmill in order to increase their capacity from 25 to 33 million board feet per year. The project included constructing a new building and installing a new automated drop sorter and resaw. This new equipment automatically turns the log before cutting so that the best grain of the log can be utilized. FCC Construction completed the project in less than four months.